This shoot turned out better than I ever dreamed! For the workshop I wanted a feminine and masculine leaning shoot- and this was our cotton candy dream for the feminine concept (see the masculine shoot HERE!). 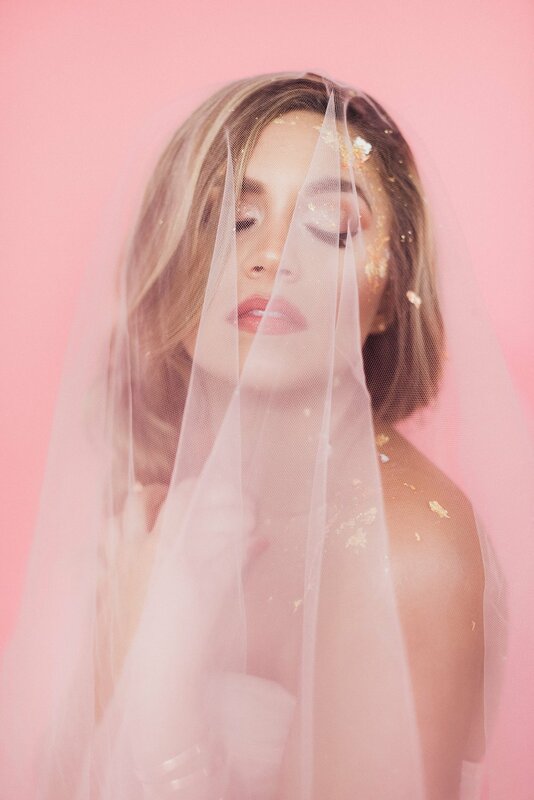 Alexa, our HMUA, took the inspiration and took the session to a complete new level. So in love with these images, and I hope you love them as well. FOR BRIDES: Don’t be afraid to introduce some color to your bridal images. Fun backdrops are such a fun variety for your bridal images that you wouldn’t be able to get elsewhere. Want to chat about a studio session? Let’s do it! Miss the workshop? Don’t worry. Head on over to our education page HERE to check out individual mentoring, and sign up for our email list with photography tips + announcements for new events/content! You can also purchase a virtual seat to the workshop HERE.